One of the capabilities that we do offer to our developers is the ability for themselves to create SQL Server Agent Jobs in our DEV/TEST Environments, so they perform some of their work without the DBA to be involved. To fullfil this requirement, we grant them the role SQLAgentUserRole, which pretty much does the job. They can create and schedule jobs and execute them. However, latelly one of our DEV’s changed his team and I had to transfer his SQL Agent Jobs to another DEV. Those days I was playing around with Microsoft Flow and have created some automation for a few things. While playing with it the thing that I liked was the possibility to host workflows in a free account. So, if you have a live account you can pretty much use a ton of connectors and create your own workflows. You should check it out the plan offers in this link below and understand how you can use it. Microsoft MVP Conference – #mvpconf Quer ganhar um ingresso? Probably you were a bit curious about it and decided to click here, right? This is a very recurrent question on Microsoft forums, where people who maybe by mistake encrypted all of the stored procedures, or maybe you support a 3rd party application and there is an particular stored procedure killing the performance of your server and you just wanna know what the same is doing? Last week I was helping an Application Admin to Synchronize files and folders between Source and Destination Servers. 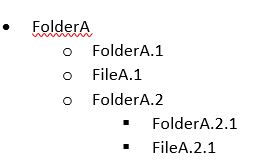 The challenge was because some folders had really long hierarchies, so you could imagine something like this. I would say that doing this for some files it is really ok, but for my case we are talking about of 10GB of data and around 4K folders in the root level. Basically, this was the solution that I was able to come up. Python Virtual Environments! Be safe! How to setup on Windows! You all know that lately I have been learning a bit of Python and one of the very first things that every single course says are: Create all your projects in a Python Virtual Environment. However, what does Virtual Environment mean? When you do a default installation of Python, you can pretty much use it, install packages and create all your projects and this will work without any problems. The problem begins when a particular project of yours starts to have dependencies of a certain Python package in a certain level. If you run pip upgrade for a package in your global environment all projects that uses that one will get upgraded as well. The outcome from that are two possible results. 1) Your package is upgraded successfully and all projects that relates to that also work after. 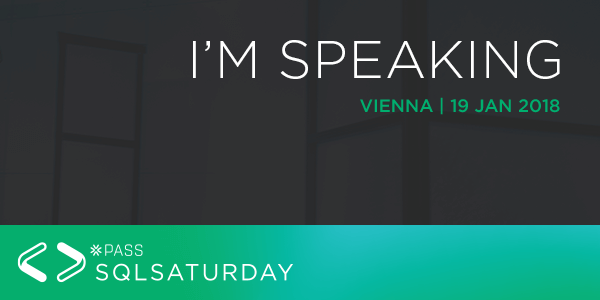 I just wanted to share that I will be presenting a Lightining Talk at SQL Saturday 679 in Vienna, Austria. I will have 10 minutes to present the following session. Title: My 5 favorite Powershell Commands! So, if you are planning to be in Vienna for the SQL Saturday, make sure to register yourself, as there are only a few spots available. Also, if you are a DBA, I would say that you really should be attending my Lightining Talk, because the commands that I am gonna show you will save your life.. or at least make it easier. Also, look at the Event Agenda, as there will be many other sessions in all areas of the Data Platform world.